Hello everyone, and Happy New Years Eve!!!!!! I hope you all had a wonderful Christmas!!! OMC, I can't believe tomorrow is the first day of 2014!! Mikko and I have been planning some New Year "resolutions"! Would you like to hear them? OK! Here we go then! So one of my big "resolution" for 2014 is to read a bit more. Why you ask? Well, I read when I go to bed, and I would like to read more than play on my mini-tablet LOL! Mostly I read a chapter, then play word games and stuff until I feel drowsy enough to sleep. I like to get really thick books, so I'm busy with a book for some time before I decide to put the book away and play on the mini-tablet. Anyway, another big "resolution" is....hmm.....Maybe Ill let Mikko talk until I think of one LOL. Mikko--> Hey everyfur! Its almost next year!!!!! Iz you ready for some fun? Me and Mom sure are! Mom said she gotz me some tasty treats......I cant wait to openz them! What do you think your momz got youz? 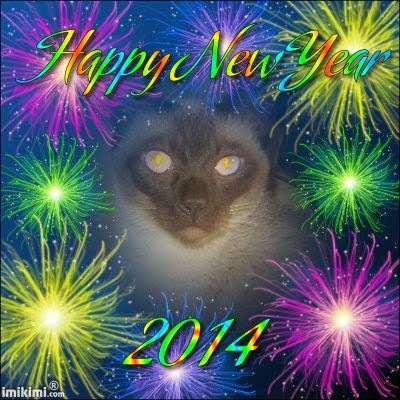 Anywayz, here iz a pic of me in a New Yearz frame! Soz, pretty awezome right? MOL! 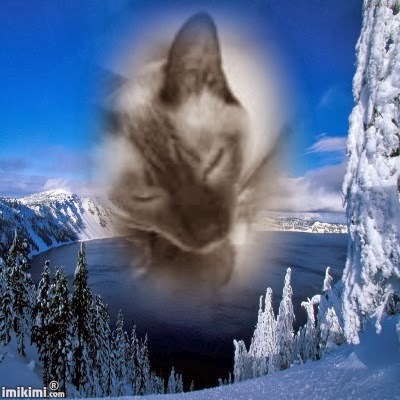 If youz are wondering where we get theze kool framez, we getz them from a website called "Imikimi". Youz have to sign up, but itz fun and eazy! So, I'll hand it back to momz. Happy New Yearz!!!! Well, I guess that idea is out LOL! Anyway, I thought of a "resolution" While I went to eat a cookie when Mikko did some talking LOL! My "resolution" is......*Drum Roll Please* I want to.....To...Tooo........OK! Ill stop piling on the deathly suspense! I would like to adopt a kitten when I return from my visit to Florida in January to March! I know I know......Sorry I didn't say something earlier! Just so busy with the holidays....And guess what!!! I have received something you all know and love...The best present yet....Mikko! My --Blurry-- Best present pic ever! So, its a little blurry but it'll do. So I bet your wondering how he got the bow on his head eh? 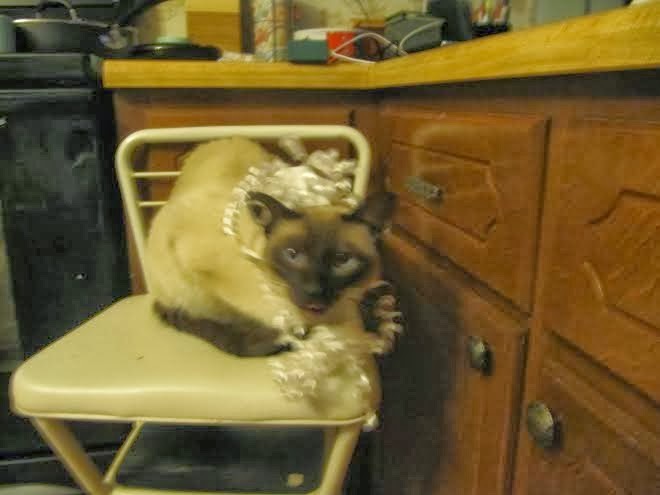 Well.........He was sitting on the chair and I saw the bow there. I saw Mikko eyeing it.....Then I had an idea. Whats the best gift I can receive, I thought, So I can post it? Then I looked at Mikko and said to myself, "Thats the best gift I can receive!" So...I put the bow on him, and took numerous pics LOL! Well, stay positive and we will see you tomorrow for Wordless Wednesday! P.S: If the pictures go into my sidebar, just ignore that, Ill find some way to fix it. Welcome to this weeks Black and white Sunday!! This is a blog hop, hosted by: Dachshund Nola and Sugar The Golden Retriever! So, today for B&W Sunday, I used a different photo editor instead of usual Ipiccy. The photo editor I used is called Fotor. It has a downloadable version and a non downloadable version, which is the one I use. So, here is a pic of Mikko rocking the Black and White style! "You lookin' at me?" Yep. OK.....Bye everyone and Happy B&W Sunday!! This is a blog hop! Hosted by: Rascal and Rocco! Today I am going to let Mikko do the talking, or some of it anyway lol! Mikko---> Hey everyfur! Its me, Mikko! Today I am going to do the post, well at least some of it! "Not going to pose for the camera Mikko?" Nope. "Ok then"
"Still not going to pose?" Nope. "Fine"
Well....I guess Mikko isn't going to pose! Mikko---> Nope. Sorry everyfur, I guess I just didn't wanna pose...But anyways, ain't I just a cutie anyway? 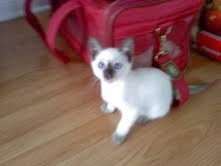 So, I guess I'll hand it back to mom, purrs and Siamese kisses to you everyfur, from Mikko! Ok....So I guess that wraps it up for today's Pet Parade everyone! Hope you enjoyed the pics...Of Mikko's side LOL! So, stay positive and I will see you on Black and White Sunday!!!! We've been decorating: Happy This 'n' That Thursday! Welcome to This 'n' That Thursday everyone! Hosted by: 2 Brown Dawgs and Ruckus the Eskie! So, today for This 'n' That Thursday today, I was thinking I would post about our decorations for Christmas! So, I've been decorating the best I can while Mikko is sleeping, so he doesn't destroy or run off with the decors. So, stay positive and we will see you tomorrow in the PP! Streeeeeetch! Happy Wordless Wednesday everyone! Welcome to Black and White Sunday everyone! This is a blog hop hosted by: Sugar The Golden Retriever and Dachshund Nola! 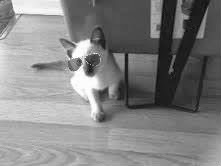 So, I know you already saw this picture yesterday, but I thought you'd like to see Mikko as a kitten rockin' the shades in black and white! Adorable normal, and adorable in B&W! Just adorable in any color! Well, thats it for B&W Sunday today! Stay positive and we will see you on Wednesday! Send a feline friend request on Catster, or sign up your kitty today! Blast from the past Saturday! Welcome to Blast from the past Saturday! Hello everyone! Hope you all are having a great Saturday! So, I've decided to do a one-time post today! I have some pictures of Mikko when I first got him, and I would like to share them! Mikko sitting by his kitty-carrier! When I first took him out, I just had to take a pic of him by his kitty-carrier! Mikko rockin' the shades! Isn't that adorable? This one made me laugh! I was playing around with the photo edit on Catster and I saw those glasses and I absolutely had to put them on him! Now, you cannot, absolutely cannot say this is not adorable, can you? That's all for now! Stay positive, and I will see you tomorrow in B&W Sunday! Welcome to my Pet Parade Blog Hop! Hey everyone! 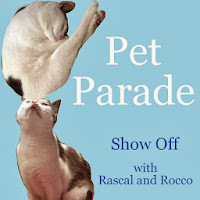 This is a blog hop hosted by: Rascal and Rocco! Since its snowy and winter-y, I've decided to show off a picture of Mikko with a winter-y frame! Where we live, its all snowy and icy. We've been decorating for Christmas and whatnot too! Mikko has been "helping" me decorate, by running off with the lights and stuff...*Sigh* If I ever get them up, I'll post some pics. And be sure to check out tomorrow's post, its a flash back! I hope you all get great presents! Now I am going to hand it over to Mikko for a moment. Mikko---> Oh my cat!! Its almost Catmas! What do you think you will get from Santa Paws everyfur? Its sooo cold out there! I cant wait until winter is over. Mom and I are on the same page, we like the snow...From far away! Its fun to watch...Far away! And its not going to be over until like...What, March? That's what Mom said...Whatever a March is. Anyway, back to Mom! Okay, so comment saying what you think you might get for Catmas, or what you might get your kitties for Christmas! I am going to get Mikko something he will surely love! 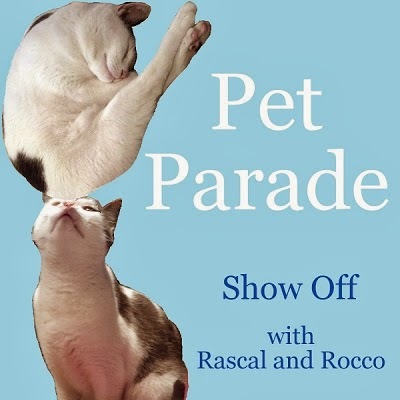 Show off with Rascal and Rocco everyone! Thats all for now! Stay positive, and I will see you on Saturday for a one time post! Subscribe via email to get us right in your inbox! Happy This 'n' That Thursday everyone! Hope you are all having a great Thursday! So, for This 'n' That Thursday, I am going to do rescue stories or animal tragedies if I hear about any. If I don't then Ill post something else MOL! Ouch..Some serious damage done here! So for today's story, I have a story about a bus crashing into an Animal Shelter on Wednesday, October Second in Chicago area. This bus was a school bus....It crashed into Niles Animal Shelter, with 25 pets in it. Two women on the bus were not hurt, but now the shelter cant accept 75 rescue dogs that were due there soon. A missing cat has been found since the crash, and Touhy Avenue has been re-opened to the traffic caused by the crash. Write - Way has found some foster homes for all the animals for the night. It reported on their FB page and its board of directors had a meeting about deciding to proceed in the immediate aftermath. Write - Way has primarily found homes for southern Illinois animals, which would have otherwise likely been euthanized. It had 75 animals due to arrive this weekend, but now it says that it cannot accept them because it has no place to put them. It also says that the bus has been pulled out of the building, and the antenna tower on top of the building had to be taken down, and the roof collapsed. Write - Way Animal Rescue is now looking for donations to help it re-build on its FB Page. (That's from the article). They said they do not own the building, but it has made thousands of dollars of work into it for the past few years, to accommodate the pets' needs. Thanks for reading, stay positive, and I will see you tomorrow in the Pet Parade!! 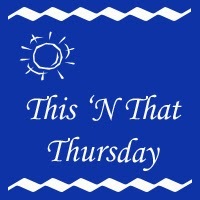 Happy This 'n' That Thursday everyone!!! And I am going to feature a big help: Love is being owned by a Husky. They have been a big help to me, I wouldn't be where I am if it weren't for they're help. So thank you! My Mikko sleeping :) Happy Wordless Wednesday everyone! Just joined the blogging world! Hello! Meet Mikko, my Siamese! Hello everyone! 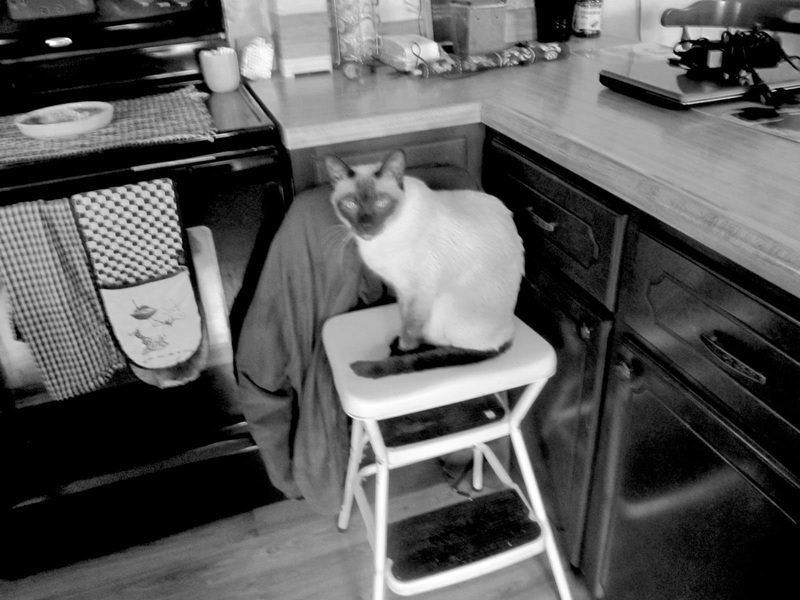 This is my blog about Mikko, my 3 year old Siamese cat. We are on Google+, so be sure to check us out there! Mikko is very playful...He likes to attack feet LOL. When he was a kitten, he used to climb up my leg to get attention. He loved it when I picked him up, he used to lay on the back of my neck and sleep. It is adorable! This is Mikko with the photo-edit crown! !